Old Photos May be Hazardous to Your Health! Are you working through cleaning your parents or grandparents home? Have you discovered some really old photos that you want to salvage but they are in bad shape? Learn more about how dangerous damaged photos may be to you in this valuable blog learn from the Association of Personal Photo Organizer's latest blog! Learn more about a memorabilia strategy that I wholly endorse in the Association of Personal Photo Organizer's latest blog! With the new year it's a great time to put in place a back up plan for all of those digital photos! Read more from The Photo Organizer's blog. Recently I was talking with a great business and speaking coach about how interesting (and needed) photo organizing is. If it was easy everyone would be organized! But with the confluence of inherited print photos from parents and unlimited digital photos in our own lives, I find clients feel overwhelmed. By physical scale – when getting organized it is best to bring all of the photos together to create a plan of attack. This alone can be daunting. By emotional impact – for just about anyone reviewing family photos this can bring on a host of emotions from joy reliving those special occasions to pain and sadness that loved ones pictured are no longer with us. By lacking direction – when you are so emotionally tied to these collections it is challenging to take a step back and become more clinical in deciding what to tackle. I believe diving deeper into this understanding of how my clients (and potential clients) could be experiencing a sense of overwhelm helps me help them. My goal is to provide joy, connection and relief for you and your family--around your photos! Feeling overwhelmed? Contact me for your free 30-minute consultation to tackle your photos! Although it takes some time, you are moving forward towards your digital collection. WELL DONE! Now let's talk about the last step in getting ready to go digital. Putting all of the pieces together. If you have both the albums you have tagged for the BEST photos and the trays/boxes of loose photos sorted by year, you will want to take one more pass in sorting. Are your loose photos duplicates of what are in your albums? Have you inherited other loose photos that make sense to be integrated into the best photos from your albums? We can put these questions to rest and know we have a complete collection with this last comparison. Pull the albums that correspond with your trays (if by year). Flip through the loose photos and find the corresponding album pages. Are the best ones in the albums? Then you can consider moving the loose photos to an ultimate discard pile (this may be another tray or box for now -- realize you may not want to discard these yet). Find other loose photos that complement the ones already selected in the album? Slip them into the pages or keep an envelope to collect these in and tuck into the album for reference. Do you have albums by event (vacations, birthdays, holidays)? This will take an extra step of sifting through the loose photos and pulling out the corresponding event. Once you have them collected you are ready to do the comparison outlined above. This may seem to be the toughest step of all. It can be a lot of content and a bit more time consuming. But remember you are driving towards that complete collection of the BEST photos. Again, tap into family, friends and kids to help with this review. Know that you are taking the third and final step in keeping your memories alive for future generations! Want that digital collection but don’t have the time to invest? Contact me for your free 30-minute consultation to determine if using a professional will get you to your goals in time for the holidays! So you have taken the first step in moving towards a digital collection of photos and selected the best of the best from your albums and scrapbooks. CONGRATULATIONS! Hopefully this was an enjoyable process and allowed you to share memories with family and friends. Next, the dreaded boxes, bags and piles of photos. This is the single most overwhelming aspect for my clients, how to filter through them all. However this activity can be broken down as well. First - I suggest getting some simple boxes or trays to group photos in. Foil bread or brownie (or turkey!) trays from the grocery store can work well. You want to have one for every decade you think you pile covers. Have images from the 1970s and 1980s - maybe 2 to 4 trays will suffice. Label each one by decade (or 5 years if you have a lot of photos). Just a year range written on a large sticky note is enough for labeling. Second - you don’t want to spend a ton of time reviewing EVERY photo. This is the secret photo organizers keep so that their workflows work quickly. You are only looking for date information (on a photo pack or back of photos) and placing the photo(s) in the correct tray. If you pause to go down memory lane, just realize this task will take much more time and can become exhausting. Often flipping the photos over and working from the backs first (where dates are available) can speed up this process. Third - determine if any duplicates are worth keeping for another use - you don’t want to pay to digitize the same photo twice! Many times I see the full strip of small school photo wallets alongside the larger 8x10 photos. Digitizing the 8x10 is better, if you don’t need those little wallets let them go. Finally - once your photos are sorted collect them into these date groupings for future review. You can put the clear lid that is sold with the foil trays over the entire collection or transfer into boxes or small tubs (your preference). Still feel like this is a huge project? Involve others - family, friends, kids, grandkids. If they can read a date they can sort! Leave the mystery photos to the family and friends who may remember the events more clearly. Know that you are taking the second step in keeping your memories alive for future generations! Is your print collection overwhelming? Contact me for your free 30-minute consultation to determine if using a professional will relieve that stress and allow you to enjoy your collection. More and more I’m working with clients who want to digitize their photo collection for backup, space, and ease of use. Whether you have boxes and boxes of loose photos or all those binders of sticky/magnetic sheets, the shift to digital can be overwhelming. The best approach is to organize the physical BEFORE going digital so you don’t replicate chaos in your collection. I love to help others break this approach down into manageable chunks. Let’s start with your album collection! Do you have lots of binders of magnetic sheet albums (the clear cover over sticky pages)? What about all of those scrapbooks that you (or someone else) spent so much time on? As much as we enjoy them, they take up a LOT of room and are difficult to share with any family and friends that are not local. The first thing you can do is review these books with one thought in mind - which pictures are the BEST? We printed a lot of photos particularly in the 1970s and 1980s but not all were winners. Time to curate so every photo you save is the one that tells the story. I suggest clients sit with a book and a pad of small sticky notes. Any photo you absolutely want to save as digital, put the sticky note over the photo on the protective cover. 1 - Take a look at all of the sticky notes you have applied (not necessarily the pictures underneath). Does this seem like too many photos? Not enough photos for your digital collection? 2 - Take a pass over the remaining photos (not covered with a sticky note). Did any go by unnoticed? Do you feel comfortable in leaving them out of your digital collection? Taking this first step will propel you forward in your digital collection goals. Make it fun by reviewing an album with a friend or relative or at a family gathering. Make annotations on the sticky note of date, location, people (if you don’t have that captured already). Know that you are taking the first step in keeping your memories alive for future generations! Not sure what your digital library could be at the end of your efforts? Contact me for your free 30-minute consultation to understand that future photo collection. However step 3 always alluded me. Cloud solutions have changed dramatically over the years from the integrated Apple-based solutions to free-for all Google and Dropbox solutions. 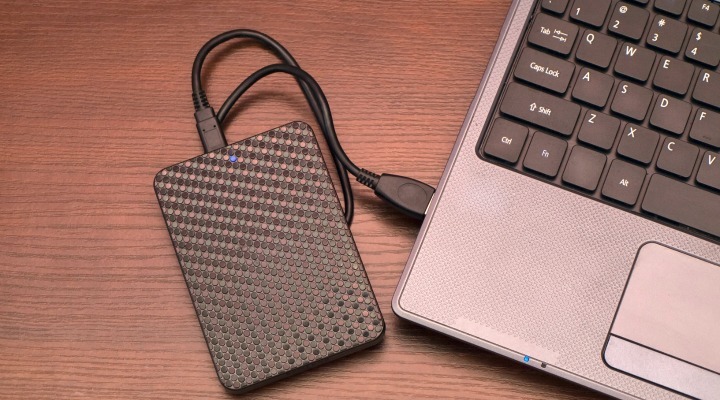 Cloud storage can be really tricky if you are unfamiliar with these options. Many are not set up to handle the bulk of high-resolution digital photos nor support a standardized file structure. There can also be limits to how much (in GB) you house in the cloud. For some people, they have also had the terrible experience of having their cloud provider simply shut down (usually without much notification and losing their photos as a result). Digital rights has also become a hot topic (who really has access to the photos and photo content you are posting) but that is an entirely separate blog coming soon. My photos can safely reside here, it is a private cloud so I control who accesses my photos, and Forever’s business model is to continue to make my collection relevant no matter what digital file formats may come around. Now am I posting absolutely every photo I have to Forever? No. Server storage and the external hard drive backup are extremely cost-effective options that allow me to unload an entire set of event photos (from our camera and various phones) in one place. From there I update the file names from the default camera names to follow the photo organizer file name best practices. Finally, I indicate (through tagging) the best of the best photos that I will ultimately use in a photo book, calendar, wall hanging or other option. Only those curated photos then go into Forever for backup and sharing. I definitely experienced a sense of relief having accomplished step 3. I’m also thrilled to not be the only “keeper of the photos” but able to share these digital albums with family. 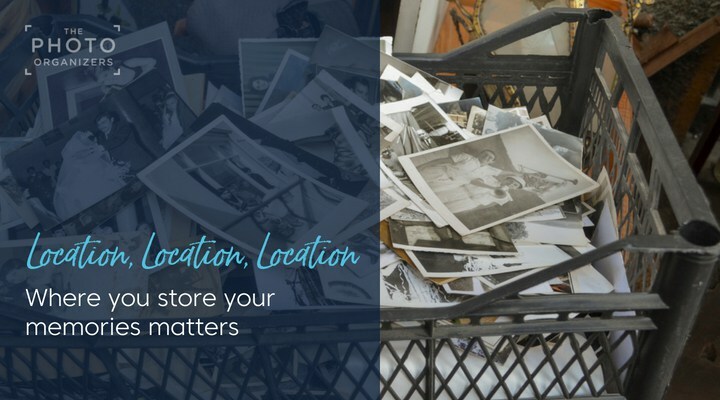 Forever offers many other services to make the best use of your photo collection, however it is the simple archiving that helps me complete my backup solution! Does organizing, renaming and uploading sound like a chore? Want to get there faster? Contact me for a free 30 minute assessment and we can form a plan to determine your digital photo backup solution. TurningLeaf CurationServices is a proud affiliate of Forever. The more people I talk to the more we all bemoan the big photo trend from the 1960s and 1970s...slides! We all have that box of slides still in the round carousel or rectangular trays. Unfortunately these take up a lot of room and are not the easiest to enjoy. Adding to the complexity it is even more difficult to transfer them to something more accessible, like a digital file. As I continue to learn more about photo preservation, I set myself on a mission to get our family’s slides under control. I leveraged a terrific 35mm slide storage system called “box-within-a-box-within-a-box” by Archival Methods. Setting aside one Sunday to just organize, it didn’t take too much time to go from mess to organized with a solution that does not take up much room. Although I was interested in getting this collection under control from a space-saving perspective, I originally was not all that interested in immediately converting the images to digital files because they were mostly travel photos (from before I was born!). However, as I slotted the slides into the little slide trays, I began to see pictures of myself in my early years...photos that I don’t recall ever seeing before! This led me to set aside some slides for digitizing and incorporating into our family photo books. To do this there are several scanning options from sending slides to a scanning service to DYI by renting equipment. I’m excited to bring to life additional images that I’m sure the entire family has forgotten about until now. My expansive collection of slides is now turning into a compact storage system with at least 3 photo books in the works. I can’t wait to share these with my family! That box, bin or closet full of slides beginning to be too much for you? Want to start enjoying the photos you are missing? Contact me for a free 30 min assessment and we can form a plan to digitize your slides and find out what memories you have forgotten! Do you suffer from digital anxiety? Do have that drawer, box, baggie that all of your camera cards, photo CDs and memory sticks gather in? Does it seem like they are multiplying? On a recent visit with a close friend that I haven’t seen in person for several years, I touched on what I do for a living. I immediately saw the digital anxiety rise in her face and in her voice. “I’m worried about my digital photos” she claimed. Having gone through a difficult divorce, she had a camera bag full of camera cards and CDs but had no idea what was on them. She wasn’t sure if she had the right tools to access the cards, and she had NO IDEA if the infant pictures of her two lovely daughters were on the cards or in the hands of her ex on a hard drive somewhere. My friend loathed the idea of having to ask him to look for these images, and yet they were critically important to her...her daughters were already 8 and the time is flying! So I took the baggie of cards and CDs back to organize for her. In no time we found she had nearly a decade of digital photos covering almost every month of the year...and cover her past all the way back to pre-marriage, pre-kids. And YES the infant photos were there as well! I felt such joy assembling one external hard drive of everything she wanted to access, knowing all she had to do was plug in the USB cable and everything she was looking for was right there. As a mom and a family historian, I experience the relief for my clients before they do as I assemble their digital history in one, easily-accessible place. I was overjoyed to pass that relief on to my client and my friend! Check out my guest blog post at the Association of Personal Photo Organizers about wedding albums! Do you have a significant anniversary coming up? How fun to bring those images back to life! Contact me for your free 30 minute phone conversation and let’s see what we can do!